Pradeep Lall is the MacFarlane Endowed Professor in the Department of Mechanical Engineering with a Courtesy Joint Appointment in the Department of Electrical and Computer Engineering and a Courtesy Joint Appointment in the Department of Finance. He serves on the Technical Council and Governing Council of NextFlex Manufacturing Institute, and is Director of the NSF Center for Advanced Vehicle and Extreme Environment Electronics at Auburn University. He is author and co-author of 2-books, 14 book chapters, and over 500 journal and conference papers in the field of electronics reliability, safety, energy efficiency, and survivability. Dr. Lall, a fellow of the ASME and the IEEE, is recipient of the IEEE Sustained Outstanding Technical Contributions Award, NSF-IUCRC Association’s Alex Schwarzkopf Award, Alabama Academy of Science Wright A, Gardner Award, IEEE Exceptional Technical Achievement Award, ASME-EPPD Applied Mechanics Award, SMTA’s Member of Technical Distinction Award, Auburn University’s Creative Research and Scholarship Award, SEC Faculty Achievement Award, Samuel Ginn College of Engineering Senior Faculty Research Award, Three-Motorola Outstanding Innovation Awards, Five-Motorola Engineering Awards, and Twenty Best-Paper Awards at national and international conferences. 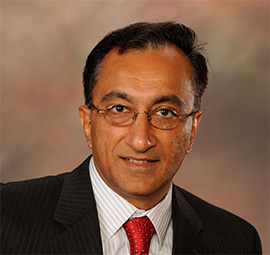 Dr. Lall has served in several distinguished roles at national and international level including serving as member of National Academies Committee on Electronic Vehicle Controls, Member of the IEEE Reliability Society AdCom, IEEE Reliability Society Representative on the IEEE-USA Government Relations Council for R&D Policy, Chair of Congress Steering Committee for the ASME Congress, Member of the technical committee of the European Simulation Conference EuroSIME, Associate Editor for the IEEE Access Journal, and Associate Editor for the IEEE Transactions on Components and Packaging Technologies. Dr. Lall is the founding faculty advisor for the SMTA student chapter at Auburn University and member of the editorial advisory board for SMTA Journal. He received the M.S. and Ph.D. degrees in Mechanical Engineering from the University of Maryland and the M.B.A. from the Kellogg School of Management at Northwestern University. Recipient of Member of Technical Distinction Award, Surface Mount Technology Association, SMTA (2013). Fellow of the ASME, (2008).